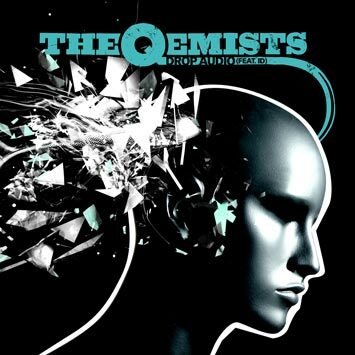 The Qemists just keep getting better and better. “Drop Audio” finds the Qems hooking up their biggest, chunkiest piece of drum and bass yet, a flawless piece of next level production. Over it up-and-coming MC I.D. adds the definitve rock-d&b vocal. The result is pure all-knobs-to-11 energy, distinguished as usual by the Qems awesome drumwork and just the sheer scale and reach of everything they do. The Qemists last outing, “Stompbox” was a huge success, garnering massive mainstream plays from the likes of Zane Lowe and Annie Mac while keeping the drum & bass fraternity buzzing with support from Pendulum, Chase and Status and Nightbreed. Mampi Swift, currently one of the biggest d&b DJs in the world has regularly opened sets with it.